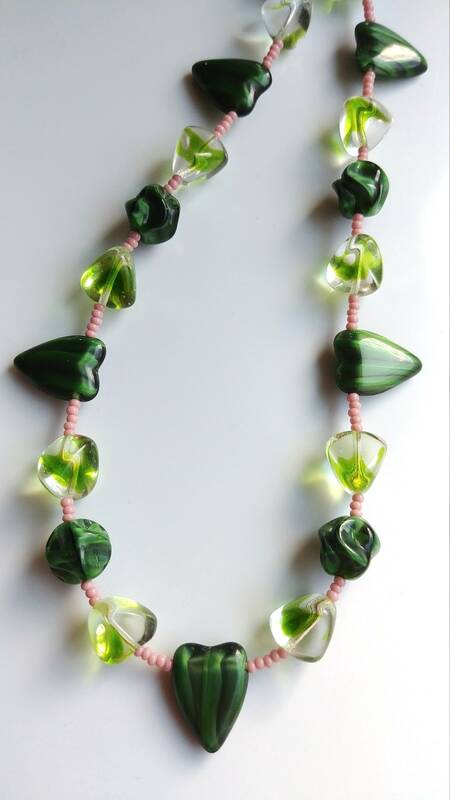 This manitee length, chunky bead necklace is made with chunky green and tiny pale pink beads. 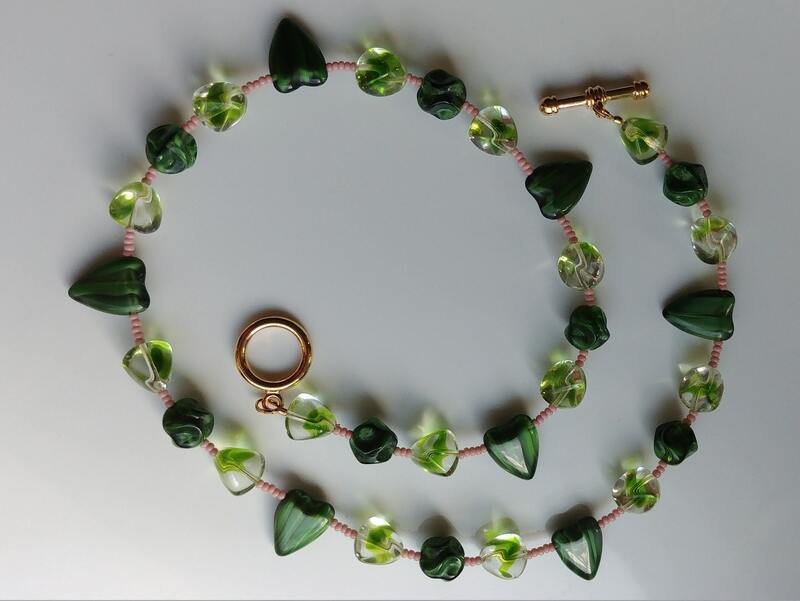 It is designed to lay between the collar bone and bust on most women. 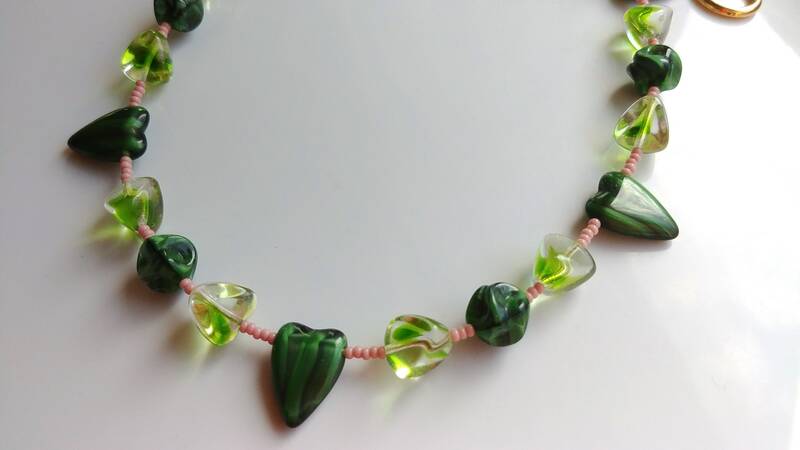 The green heart beads are approximately 5/8 of an inch x 1/2 inch. 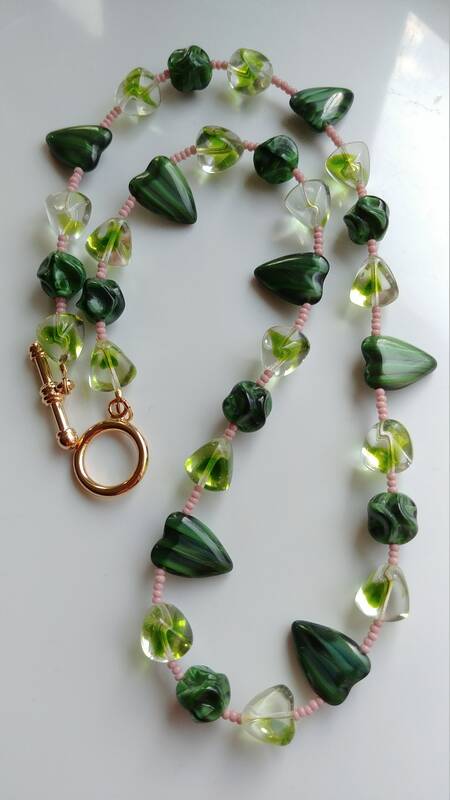 The entire necklace is 21 inches long.